Urine drug screens are a specific type of medical test commonly used to determine if certain types of drugs are currently in a person’s system. For example, an employer may drug screen urine as part of the hiring process to ensure new employees do not use illegal drugs. Urine drug screens are more common in industries where safety is a serious concern, such as those where a workplace accident could be life-threatening or where employees operate vehicles or other types of machinery. 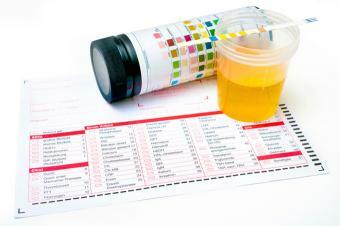 However, businesses and organizations of all kinds may choose to drug test new and existing employees. As an employee, an employer, or other individual in need of a drug test, it can be helpful to know what to expect when you participate in urine drug screens. If you’re the person being screened, you’ll likely be asked to remove personal belongings. This helps ensure the test is not tampered with in any way. After following hygienic procedures as recommended by the medical professional administering the test, you will deposit a small amount of urine into the provided container. When you’re finished, you’ll give the container to the medical professional or leave it in a designated location. Generally, you should have results for your test within a few days. For those with positive results, meaning drugs may be present in your system, additional testing may be performed to confirm the results. This will likely take more time. FastMed Urgent Care conducts occupational health services like urine drug screens using on-site labs, which allows us to get the results of drug screens and other lab tests quickly and easily. Whether you need a drug test, an x-ray, a physical, or other occupation health service, it’s our goal to get you in an out as fast as possible. With our ZipPass check-in system, you can get a place in line and show up at the check-in time you choose. This online system helps reduce your wait time when coming in for a drug test or other medical service. Our clinics also have extended hours, so you can come in before or after work to get your test. Plus, we’re open every day of the year, and as a community-based clinic, we have a location near you. Do you have more questions about FastMed and the services we provide in your community? Check out our FAQs page today.